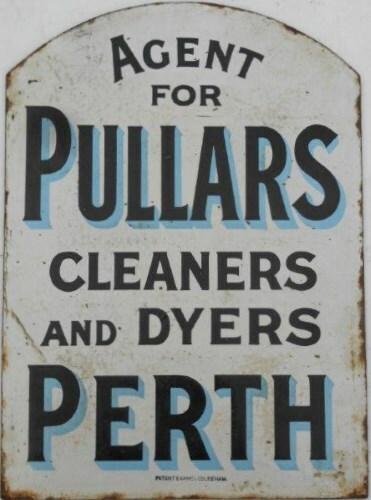 Lot 67 Enamel Double-Sided Advertising Sign "AGENT FOR PULLARS CLEANERS AND DYERS - PERTH". Good condition. Size 19" x 13".